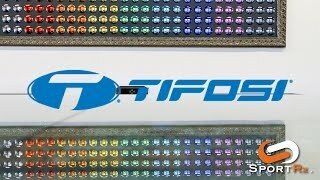 Tifosi Wisp sunglasses have a pure and minimalist feel on your face, but are big and bold on performance. The open-rim design gives great visual coverage and clarity, enhanced with SportRx prescription lenses. Features include: extremely high-strength Grilamid TR-90 nylon frame, customizable hydrophilic temples with sweat grip technology, prescription-ready.